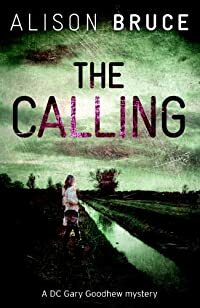 The Calling by Alison Bruce: Synopsis and Online Purchase Options. Synopsis (from the publisher): Kaye Whiting went to buy a birthday present and didn't come back. When DC Goodhew hears the recording of the mysterious call made to the station, informing them that Kaye is still alive and that a man named Peter Walsh is responsbile, he knows it's more than a prank call. Why does Mr. Walsh not seem surprised to see Goodhew at his doorstep, and who is the woman who goes to the same diner every day, just so she can watch Mr. Walsh walk out of his building with his new lover?